Before learning how to cook hamburger, you should know a little about how to buy hamburger or we often call ground beef. There seems to be a lot of confusions for shoppers as to what kind of ground beef to buy. Most of the time shoppers want to get meat as lean as possible for health reasons. In the case of hamburger this very lean meat will turn out dry and flavorless hamburgers. In a lot of dishes with sauces and other ingredients it will work very well but even in some of the other recipes I found the very lean not to be as good; for instance my homemade salami. My video for making homemade salami is available in "How to Survive Inflation with the Rising Cost of Food". When you learn how to cook hamburger, you will find it is the fat which is ground in the meat that melts as it cooks and makes delicious juicy hamburger patties. 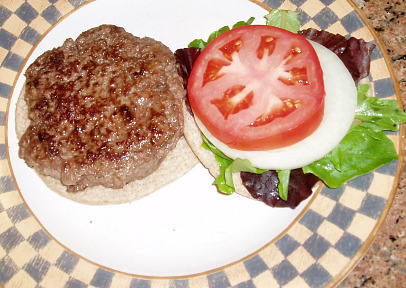 When learning how to cook hamburger you will find that beef is ground from a specific cut, it may carry that name of the cut; example is “ground beef round”. Beef ground from less tender cuts is labeled “ground beef”. Although meat from the chuck is not as tender as meat from the round and not normally recommended for most dishes, the process of grinding it will tenderize it making ground chuck as tender as ground round or ground sirloin. Most of the time the label will also indicate the proportions of fat to lean. This is important to know when preparing cheap recipes which can use cheaper cuts. When labels say ground beef it should contain 70 percent lean meat; the lowest percentage allowed. This is the least expensive kind and is suitable for hamburgers, meat sauces and any dish where you can spoon off excess fat. 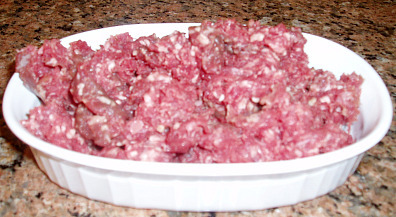 Ground beef of 80 to 90 percent lean meat is labeled lean ground beef. This meat makes good lean hamburgers, meat loaves, meatballs and any dishes which contain other ingredients such as bread crumbs or noodles to absorb fat as it melts. Extra lean ground beef is approximately 80 percent lean meat and is recommended for fat restricted diets where one needs to eliminate as much fat as possible. When you learn how to cook hamburger, you will find the hamburger sandwich is one of the most popular and well known foods throughout the world. It is this single food which accounts for the great success of many fast food restaurants. The hamburger was part of the culinary needs of a changing society of the late nineteenth and early twentieth centuries. There have been various controversies over the origination of this sandwich; from Hamburg, Germany to the Unites States. It now is readily linked to the United States because this is where the popularity began since the St. Louis World’s Fair of 1903. Ground beef or hamburger recipes make some of the most economical meals to feed your family. Not only are these cheap recipes but can be some of the best tasting and most flavorful. It is the most versatile form of meat to use; I use to fix it almost every day in a completely different recipe each time. There are thousands of good recipes available for you to try and it is easy to add your own ingredients developing your own taste. The following recipes are how to cook hamburger and are recipes for cheap living. 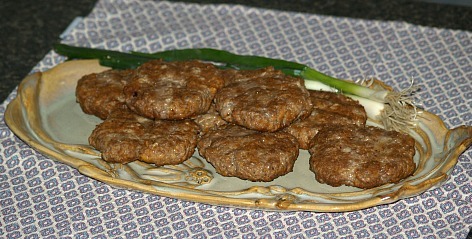 The first is a meatloaf recipe which is a favorite hamburger recipe for many. The leftovers are always welcomed to use in chili, with sauce added can be served over cooked pasta or it makes a great cold sandwich with a little mustard added. Spray with a non stick spray a loaf baking pan. Crumble the crackers in a large bowl. Moisten with a little milk (only enough to moisten, do not let standing milk). Add in the eggs, hamburger, onion, mustard, Worcestershire, garlic, salt and pepper. Mix until thoroughly blended. Pack into pan and bake for 1 hour and 15 minutes or until done. Another way of how to cook hamburger for cheap recipes is in casserole dishes. This beef casserole is sure to fill your family. Serve with a salad or you can add some green beans to the casserole to make it a “meal in one”. Spray lightly oven baking dish. In a skillet, brown the hamburger and onion and drain. Add the barbeque sauce, brown sugar and beans. Pour into baking dish. 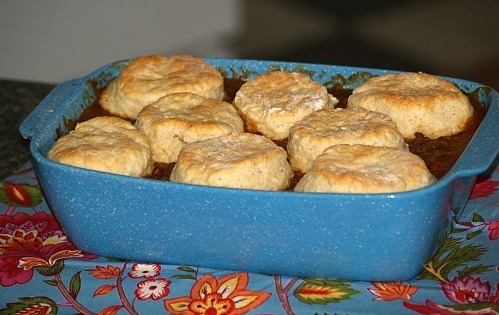 Separate the biscuit dough and arrange on top of the casserole. Sprinkle the cheese over the dough and bake for 25 minutes or until the biscuits are done. This is how to cook hamburgers on the grill producing a flavorful juicy burger. Combine egg, ground chuck, crackers, onion, cheese pieces, garlic, red pepper, thyme, parsley and Worcestershire sauce. Blend well and shape into four patties. Coat grill rack with cooking spray; heat grill to medium hot (350F degrees to 400F degrees). Place patties on rack and grill uncovered for 6 minutes. Turn patties and grill 6 more minutes or until desired doneness. Learn how to cook hamburger with another juicy hamburger recipe. Combine all ingredients and blend well; shape into twelve patties. Broil 4 minutes on each side. Combine all ingredients and shape into a loaf in a baking dish. Cover with wax paper and microwave on high for 18 to 20 minutes; drain off drippings. Combine following ingredients together and spoon over meatloaf; 2 tablespoons ketchup, 1 tablespoon soy sauce, 1 tablespoon brown sugar, ½ teaspoon dry mustard. 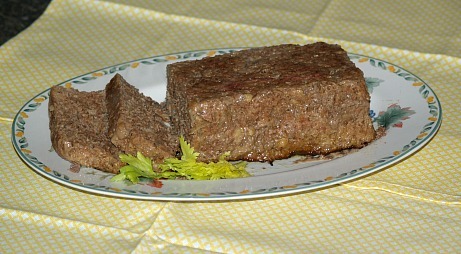 Cook meatloaf for 2 minutes longer on medium setting; let stand 5 minutes before serving. Do you ever have a Mac attack? Mix up this sauce and try it on your home cooked hamburgers; easy and cheap. Combine and mix all ingredients; cover and refrigerate.